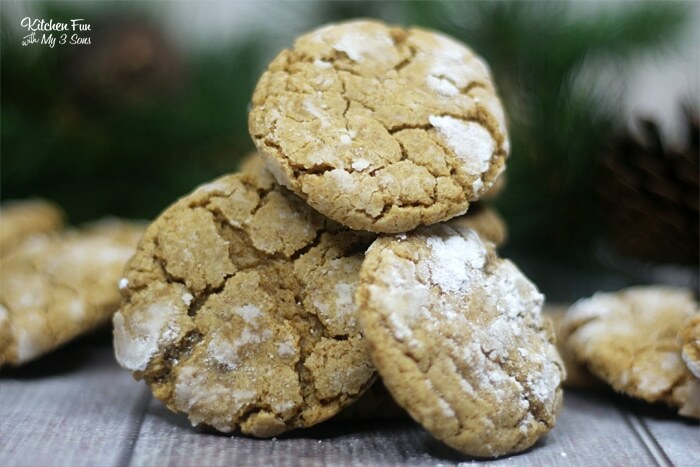 Gingerbread Crinkle Cookies are a Christmas recipe the whole family loves. The perfect treat for a holiday cookie exchange! One reason why I love these so much is that you don’t have to deal with rolling out the dough. With your normal, albeit delicious, gingerbread cookie recipe, you spend quite a bit of time rolling and re-rolling dough. And of course cutting out cute designs. 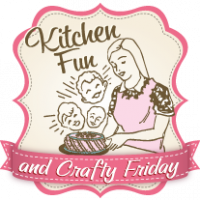 With this recipe, you get to roll the dough into balls and drop them on the baking sheet. 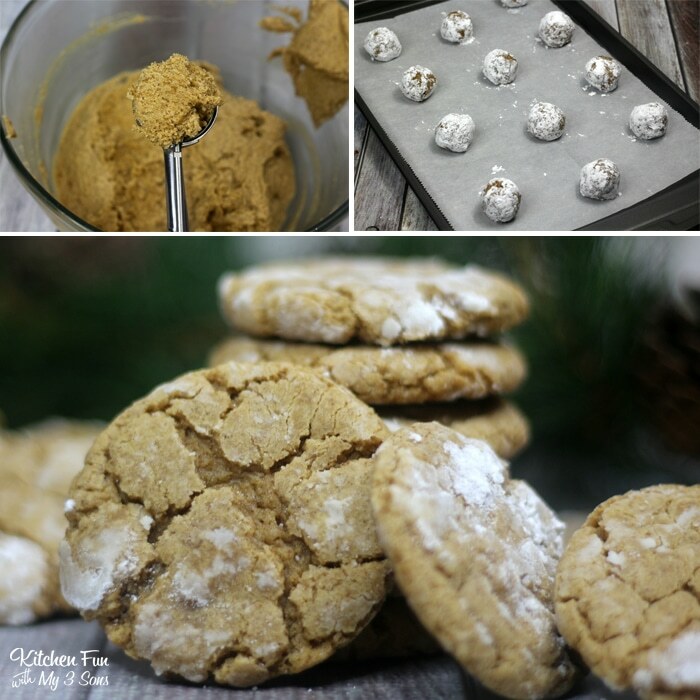 If you’re craving the winter flavor of gingerbread but want a little less work you’re going to love this. These taste the best when they are fresh from the oven, so if possible, plan to make these the day of your event or party. Remember though, while you’re planning your cookie baking, that the dough needs to be placed in the freezer until hard. I recommend making the dough the day before and leaving in the freezer over night. 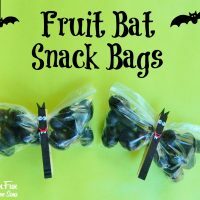 They can be stored up to a week, if you keep them in an airtight container and keep them at room temperature. 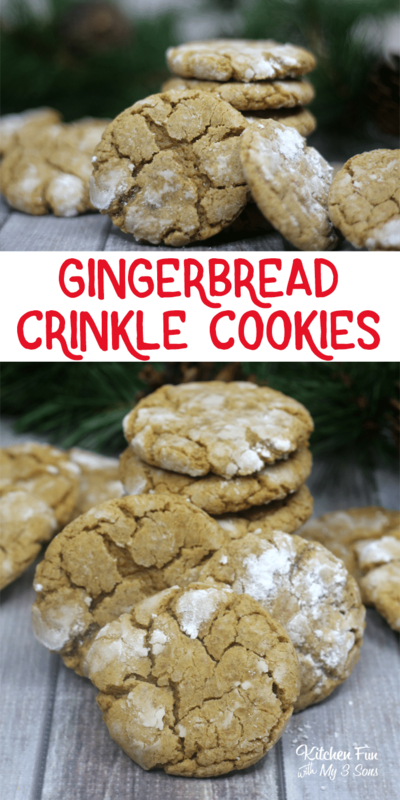 Enjoy your Gingerbread Crinkle Cookies! Using an electric mixer on low-speed stir together the flour, brown sugar, baking soda, cinnamon, ginger, cloves, and salt until combined. Stop the mixer and add the butter pieces. Mix at medium-low speed until the mixture is sandy and resembles fine meal. Reduce the speed to low. With the mixer running, gradually add the molasses and milk. Mix until the dough is evenly moistened . Increase the speed to medium and mix until thoroughly combined. Transfer the dough onto a work surface. Divide the dough in half. Shape each half of the dough into two balls. Wrap each dough ball the in plastic wrap and freeze until firm. Or your second option is that you can refrigerate the dough for 2 hours or overnight. Roll each dough ball in the sugar until coated. Now transfer the ball to the confectioners’ sugar and roll again until coated evenly. Put the coated dough balls 1-inch apart on the parchment lined baking sheet. Bake the cookies at 350 degrees for 12 minutes or until they are set in the centers. Be sure to not over bake them. Remove the cookies from the oven. Allow them to cool on the sheets for 2 minutes. Transfer the cookies to a wire rack to cool completely (to room temperature). 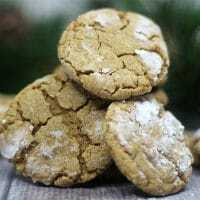 Store gingerbread crinkle cookies in an airtight container at room temperature. The cookies can be stored for up to a week. 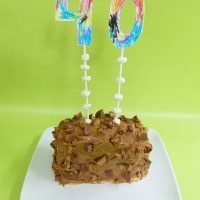 Oh NO I have turned the Big 4-0!! love ginger cookies , but would some that keep longer !!! !